She’s always by your side. Whenever there’s trouble, she’s ready to jump in to help. She’d fight bounty hunters with you if you ever asked her and she’d probably make a pretty good co-pilot if you taught her how to fly the Millennium Falcon. 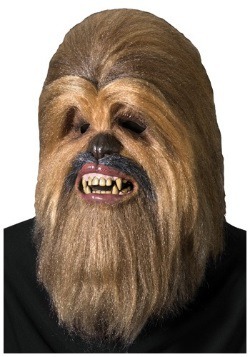 Yeah, your little girl would make a pretty darn good Chewbacca. You know, from Star Wars! 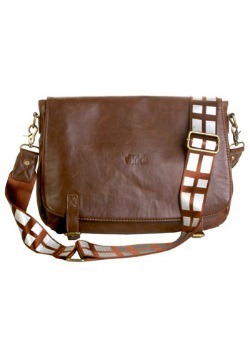 He’s Han Solo’s number one pal and in a lot of ways, your little girl is just like him. 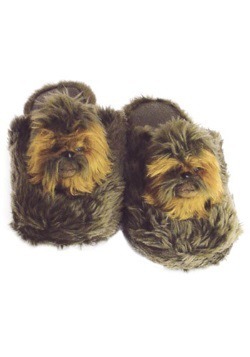 She’s YOUR co-pilot and she’s never going to let you down, just like Chewie. 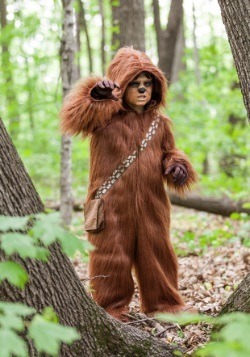 You can actually turn your little girl into the iconic Star Wars character with this girls Chewbacca costume The child costume does a great job of combining the Wookiee look and a cute style! 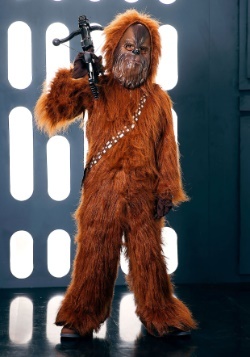 Of course, she might not be a native of Kashyyyk and she might not quite have the Wookiee growl down yet, but those are things she can work on! 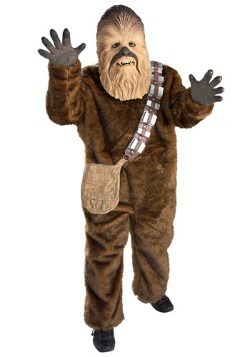 This officially licensed costume comes with a brown dress that’s the same color as Chewbacca’s fur. It also comes with faux fur accents on each sleeve. 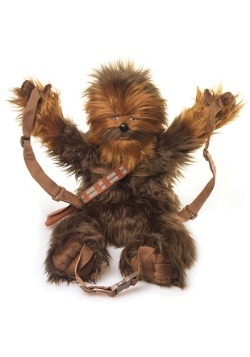 It also has an attached hood, which has plenty of faux fur to help your girl keep cozy and make her look more like her favorite Wookiee pal. 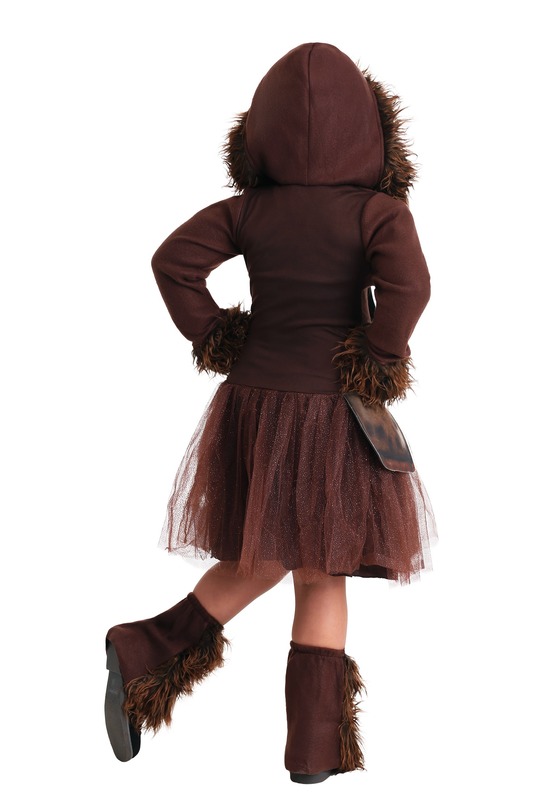 The dress also has a tulle skirt for a cute twist on the classic character. The printed pouch and bandolier add a nice, subtle touch to the look and the faux fur boot covers fit around your girl’s shoes to finish off the look. 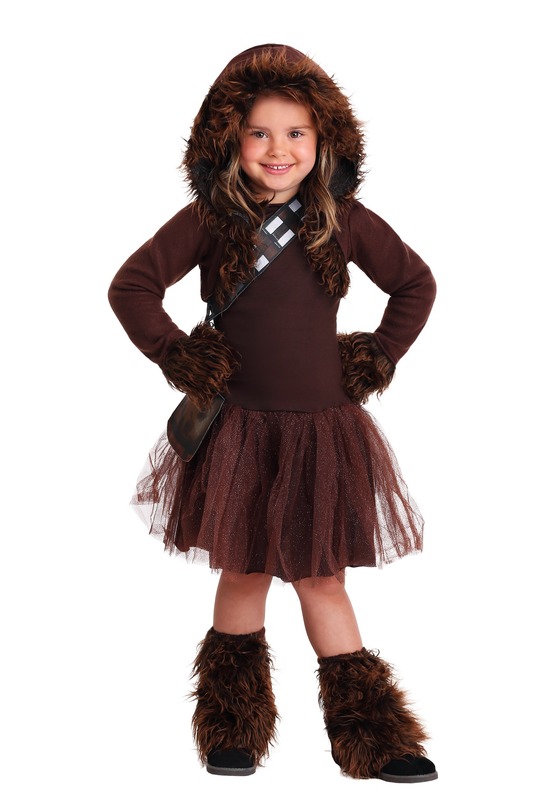 Your little girl will be ready to join you on any intergalactic adventure when you dress her up in this girls Chewbacca costume. 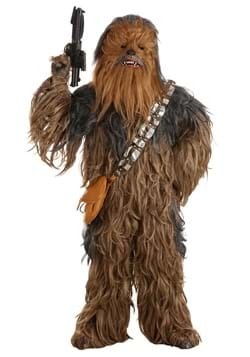 Don’t forget to check out our Han Solo costume, so you can become the famous Star Wars duo together! Small - $44.99 Only 6 left! Medium - $44.99 Large - $44.99 Only 9 left!